Among the four Sidh Peeth of the Dehradun, Madu Siddh temple is situated near the village of Aamwala. Madu Siddh Temple is at the very dense forest near the Nimi River. The Madu Siddha temple is at a calm place very far from the city life. You can reach there by two ways, one way is from Chakrata road via Premnagar and another via Kaulagarh road. Actually, Madu Sidh temple is a Lord Shiv temple where you can see the Swayambhu Shivling. This Swayambhu Shivling is worshiped here from Treta Yug. Local and nearby city devotees regularly visit this Madu Siddh temple. In Treta period famous Saint Shri Atri Ji and Mata Shri Anasuiya lived. All three God Bramha, Vishnu and Mahesh who is known as Trinity, came to Earth for the testing of penance of Shri Atri Ji and Mata Shri Anasuiya. Trinity was very happy with the penance of them. They promise to born as her baby from his womb. Later Mata Shri Ansuiya gives birth a baby boy who was the form of Trinity. They named his son as Dattatreya. Dattatreya was very sharp minded, powerful, Bright. Lord Dattatreya gained knowledge from 24 Guru and became expert in all type skills. Dattatreya had many powers. Lord Dattatreya later became popular and famous as Guru Dattatreya Ji. Lord Dattatreya had 9 'Naths' and 84 disciples. They trained all of them for human welfare. As time passed Lord Dattatreya became old and called all his disciples. Lord Dattatreya said to all disciples to do worship of Lord Shiv and get the powers from them. Lord Dattatreya blessed all disciples to get success in life and doing human welfare. All these 84 disciples went in all over in India for human welfare and started the Tapasya. The places where all these 84 disciples of Lord Dattatreya done Tapasya, later famous as Siddh Peeth. Four disciples Laxman, Manak, Kalu, and Madu Ji of Lord Dattatreya came in Dehradun of North India. They did hard penance and make happy to Lord Shiv. Lord Shiva came and give them the blessing to go to heaven. The places where Lord Dattatreya disciples did penance and left her body, now famous as Siddh Peeths in Dehradun. Lord Dattatreya's disciple Saint Madu Ji did penance here and taken Samadhi here. That's why this temple is known as Madu Siddh temple. Among all 84 Siddh Peeth, Dehradun has four Siddh Peeths. All four Siddh Peeths situated in outers of Dehradun. List of all four Sidh Peeth of Dehradun listed below. As per saying of local peoples, those who visit all four places in a single day on foot without eating food. Their wishes complete by God. Madu Sidh Temple opens daily so you can go there any day in a week. But as per the weather of Dehradun, I will suggest going there from February to June months. During rainy season going there is not advisable. On the Hindus holy day Vasant Panchami there is a huge fair organized at the Madu Siddh temple. So going there at that time will be best. The best time to visit the temples is morning so you can go to Madu Siddh temple in the morning. You can also go there other Hindu festivals such as Mahashivratri because Madu Siddh is considered as a Lord Shiv Swaroop. There are lots of devotees came to offer milk and Ganga water on the Shivling from nearby cities and villages. Madu Siddh Peeth Mandir daily opens in the morning at 08:00 am and closed at 06:00 pm in the evening. There is no specific time mention in the temple. 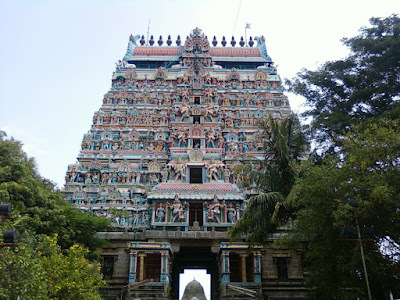 You can go there in the morning and visit this temple situated in a beautiful place. Madu Siddh Peeth temple is not so big so the total expense time for the temple will be less than an hour. Madu Siddh Peeth temple has a very old Shivling which is worshiped as a Madu Siddh. You have to offer the Jaggery in the Madu Siddh temple and offer water on the Shivling. You can offer flowers and burn the Dhoop there. There is very old Dhuna known as Akhand Dhuna where devotees burn wood, dhoop, etc. At the Madu Siddh Temple, there is a huge fair organized by the Shri Madu Siddh Mandir Samitee on the Vasant Panchami annually. There are lots of devotees came to visit the temple. Shri Madu Siddh Mandir Samitee organizes Bhandara for the devotees during the fair. Vasant Panchami is considered as the best day for the starting new activities. Other than Vasant Panchami on second Sunday of May and June Bhandara also organized at Madu Siddh temple. Vehicle parking space is available. There is no parking stand for vehicles. Washroom facility also not there. There is only one Prasad shop where you can purchase Prasad. Food and snacks shops are not available near the Madu Siddh temple. Madu Siddh Peeth temple is approximately 6 km far from the Nanda Ki Chowki bus stoppage on the Chakrata road of Dehradun. If you reached Nanda Ki Chowki then just take the right turn from the main Chakrata road you have to follow the main road and after 5-6 km driving, you will see the Madu Siddh temples directions on the main road. Madu Siddh Mandir is situated near Aamwala. Madu Siddh temple is about 15 km from the Dehradun railway station. From ISBT bus stand it will be approximately 16 km. The Jolly Grant Dehradun Airport is about 40 km far away from Madu Siddh Temple. No direct taxi, Vikram or city bus is available for the Madu Siddh Mandir. So you have to book a private taxi or cab for it. If you have own vehicle then it will be best for going there. You can get e- Riksha from the Nanda Ki Chowki but it also not go to the temple. You have to go one km or more by foot. Photography is allowed in the Madu Siddh Temple. Temple is situated in the forest near the river so you can take many photos with good locations. You can visit Madu Siddh temple on Basant Panchami because on this day huge fair is organized and Bhandara for all devotees also organized. Other days the Madu Siddh temple has low crowded. There are no snacks and lunch shops so if you want to spend some more time then you have to carry some snacks with you.